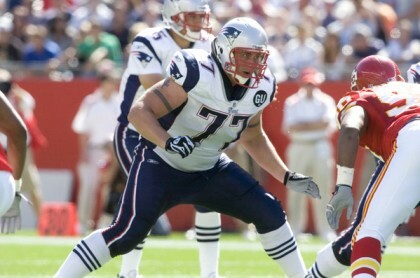 New England Patriots offensive lineman is likely to be released before the league year, and collective bargaining agreement, expires on March 3, Ian Rapoport of The Boston Herald. According to Rapoport, the Patriots approached the veteran tackle about reducing his $3.4 million base salary for next season, which the 31-year old declined. Kaczur, a third-round pick (100th overall) out of Toledo in 2005, missed all of last season with back and shoulder injuries after starting 62 of 68 games his first five seasons in the league. Kaczur was expected to move inside to guard last season. 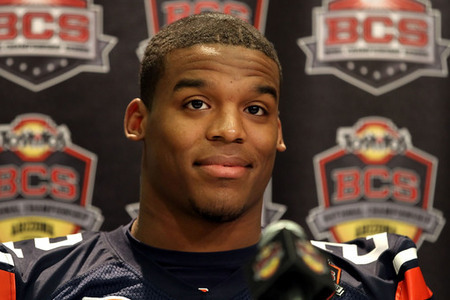 ESPN's Adam Schefter reports that five teams have interviewed Auburn University quarterback Cam Newton this week. The Dallas Cowboys were known to have met with Newton, but that list has expanded to include the Miami Dolphins, San Francisco 49ers, Seattle Seahawks, and Tennessee Titans. Peter King of Sports Illustrated adds the Carolina Panthers to that list, as well. More teams are expected to include Newton among their allotted 60 interviews during this week's Combine, for no other reason than to get a better feel for a first-round quarterback they may end up facing twice in a season. Carolina has the number one overall pick in the 2011 NFL Draft. Free agent safety Bob Sanders passed his physical with the Jacksonville Jaguars, head coach Jack Del Rio said on Friday. After being released last week, Sanders kicked off his free agent tour with the visit with the Jaguars before visiting the Buffalo Bills. 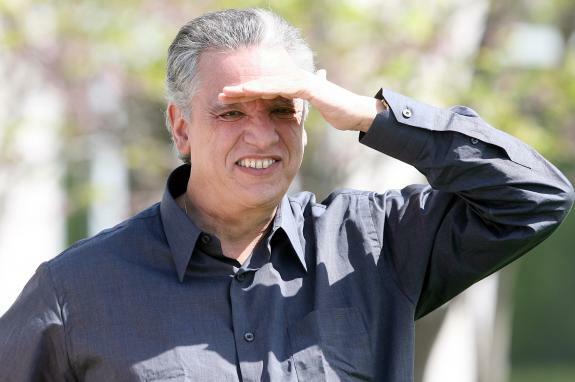 "I loved the time that we had with him," Del Rio said, according to Tania Ganguli of the Florida Times-Union. "We're exploring, I know he's exploring, whether or not Jacksonville will be a fit for him. That's the question. How much does he have left? He was very eager to continue his career, thinks he has a couple good years left in him. Certainly when he's on the field, he's one of the more dynamic players in the league." The NFL's Defensive Player of the Year in 2007, injuries have limited Sanders to just nine games over the last three seasons. Between 2009-10, Sanders earned nearly $3 million in base salary, while appearing in just three games. Sanders, whose image remains on the side of Lucas Oil Stadium, turned 30 on Thursday. The Colts have expressed an interest in bringing Sanders back at a reduced salary. A few hours after expressing doubt about the future playing career of DE-OLB Mathias Kiwanuka during a session with the media at the NFL Scouting Combine in Indianapolis, Giants GM Jerry Reese released a statement that was much more optimistic regarding the 27-year-old. "After I spoke to the media this morning at the Combine, I had a conversation with (head trainer) Ronnie Barnes, who confirmed for me that last night we did receive the final written evaluation that gives Mathias medical clearance to return to the field," Reese said in a statement issued through Giants' PR department. "The consensus of all of the spine physicians and Dr. (Russ) Warren is that it is safe for Mathias to return to play. I have talked to Mathias and he is fully committed to returning to football." That means that Kiwanuka, who missed most of the 2010 season with a herniated disc in his neck and whose playing career was in jeopardy, now will be able to enter free agency once a new Collective Bargaining Agreement is signed. Unless, of course, the Giants, reach a deal with him to keep him in New York. Kiwanuka has been in the Giants' facility working with trainers this offseason. Without a new CBA in place by March 3, Kiwanuka will have to take his rehab outside the building and out of the hands of the Giants' doctors. On Friday, head coach Tom Coughlin said that Kiwanuka "seems to be doing well" and was able to avoid surgery. "I don't think the final hurdle has been overcome, but the arrow is in the right direction," Coughlin said. "It's been positive." This is great news for Kiwanuka, who has established himself as a versatile playmaker at two spots in his NFL career. The big questions are: Will Kiwanuka be able to continue making progress away from the team facility in the even of a lockout and will the Giants re-sign him or let him go because of his injury history? 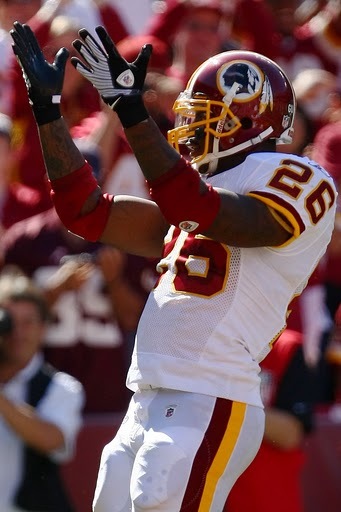 Washington Redskins running back Clinton Portis will likely be released very soon, head coach Mike Shanahan revealed. "He's got a high (salary) number next year, one that we gotta make a decision on what direction we're gonna go," Shanahan said. "I always tell these veteran players that if you've got a high (salary) number, we're gonna let you hit free agency. It doesn't mean we don't want you, but we think in fairness to you, we want you to check out the market. "And with a guy like Clinton, all I can say is that we're gonna be fair to him. And we haven't made a decision yet, but when we do, we'll talk to him and let him know what we're gonna do and kinda go from there." Portis turns 30 in August and is due $8.254 million in base salary in 2011, along with a $500,000 roster bonus. Injuries have limited the two-time Pro Bowler to 13 games over the last two seasons, during which Portis has 178 carries for 721 yards and 3 touchdowns. A new collective bargaining agreement is expected to include a salary cap. Portis' cap number is slated to $11.089 million in 2011 which, given his age and injury history, is not a number the Redskins can carry in a capped season. 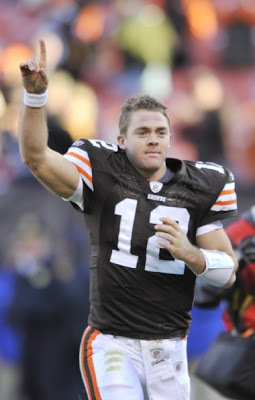 First year Cleveland Browns head coach Pat Shurmur is committed to quarterback Colt McCoy being "The Man" going forward, Tony Grossi of the Cleveland Plain-Dealer reports. Shurmur and general manager Tom Heckert confirmed McCoy's status as the team's top quarterback during a Friday afternoon meeting with Cleveland-area reporters in Indianapolis. "I thoroughly evaluated Colt last year when I was with the (St. Louis) Rams and I'm excited about having him as our quarterback," Shurmur said. "I don't have any questions about arm strength or anything. I have a strong feeling for the guy." McCoy, a 2010 third-round pick out of Texas, started eight games as a rookie, completing 135-of-222 pass attempts for 1,576 yards with six touchdowns and 9 interceptions. 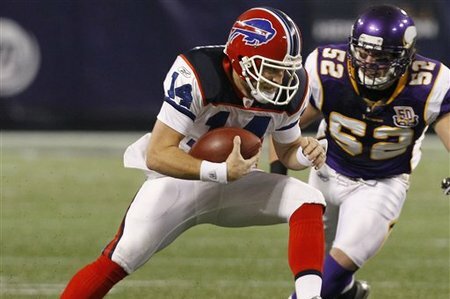 According to Heckert, the Browns are interested in bringing free agent quarterback Seneca Wallace back for next season. They're also open to having veteran Jake Delhomme back, provided he restructures a contract that includes a $5.4 million base salary in 2011. The Chicago Bears announced that they have signed head coach Lovie Smith to a two-year contract extension. 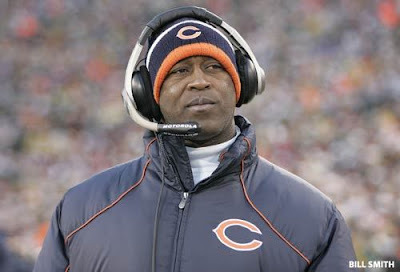 Smith was scheduled to enter the final year of his contract, but the extension will keep him on the Bears' sidelines through the 2013 season. In seven seasons under Smith, the Bears are 63-49, and have won three NFC North titles (2005-06, 2010). The Bears are also 3-3 in the post-season, including 1-1 in NFC Championship Games. Chicago lost to the Indianapolis Colts in Super Bowl XLI following the 2006 season. In addition to signing head coach Lovie Smith to a two-year extension, the Chicago Bears are looking to re-sign veteran center Olin Kreutz, Brad Biggs of The Chicago Tribune reports. 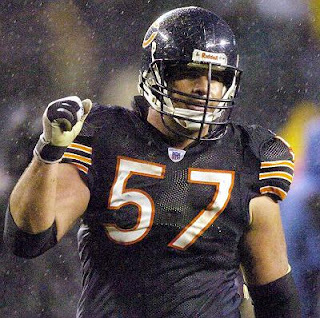 Kreutz, who turns 34 in June, has spent his entire 13-year career with the Bears, who selected him out of the University of Washington in the third-round (64th overall) of the 1998 NFL Draft. Kreutz earned $2.333 million in 2010, the final year of a three-year extension that was signed in 2007. A veteran of 191 games, Kreutz has started 134 consecutive games, the third-longest streak among NFL centers. The Oakland Raiders have signed defensive tackle John Henderson to a two-year contract extension, ESPN's Adam Schefter reports. Henderson's deal is worth $8 million. 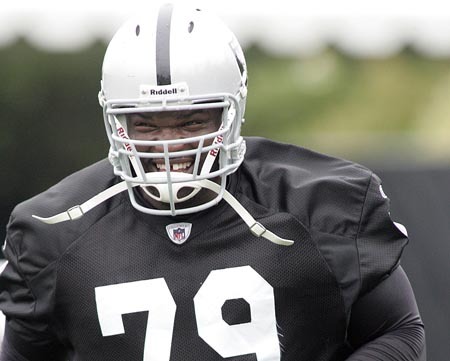 The 6-7, 335-pound former first-round pick out of Tennessee joined the Raiders on a one-year, $1.025 million deal last June following his release by the Jacksonville Jaguars. Henderson started two of nine games. Henderson was credited with 30 tackles and three passes defensed. 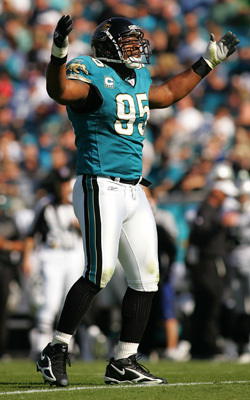 Henderson spent the first eight seasons of his NFL career with the Jaguars, starting 119 of 123 games, totaling 423 tackles and 29 quarterback sacks, and going to a pair of Pro Bowls. 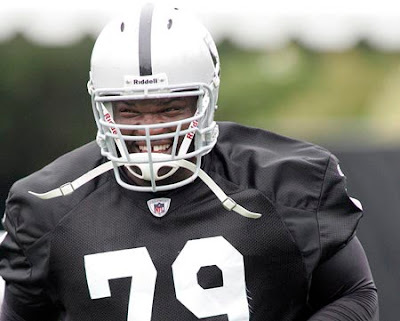 Re-signing Henderson continues what's been a very busy stretch for the Raiders, who have re-signed Richard Seymour to a two-year, $30 million contract, Stanford Routt to a three-year, $31.5 million extension, and used the franchise tag on outside linebacker Kamerion Wimbley. 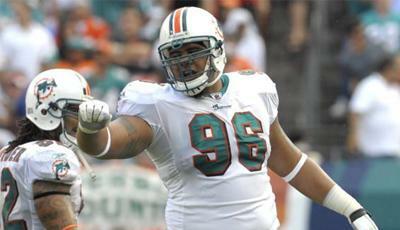 The Miami Dolphins have placed the franchise tag on nose tackle Paul Soliai, Jason La Canfora of the NFL Network reports. A fourth-round pick out of the University of Utah in 2007, Soliai had a breakout season in 2010, starting 14 of 16 games, totaling 39 tackles, including eight for a loss, with a pair of quarterback sacks as he anchored the NFL's 7th-ranked run defense. 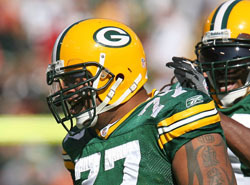 Soliai earned $550,000 in 2010, the final year of his rookie contract. The franchise tag for defensive tackles is projected to be worth $12.381 million, guaranteed upon signing, in 2011, so the Dolphins' use of the tender shows how much they value the 6-4, 344-pound nose tackle, who has expressed his desire to remain with the team. Soliai received the non-exclusive tender, which means he could speak to other teams, with the Dolphins receiving two first-round picks if they opt to not match an offer sheet. Like the other players with four accrued seasons who received the franchise tag, Soliai is expected to sign his tender immediately. Due to the 30% rule governing contract extensions in the uncapped season, a suitable long-term contract was unable to be reached during the season. By using the franchise tag, the Dolphins and Soliai's agent, David Canter, have additional time to negotiate a long-term contract for when the new collective bargaining agreement is reached. The Green Bay Packers have decided to not use a franchise or transition tag this off-season, Tom Silverstein of the Milwaukee Journal-Sentinel reports. Defensive end Cullen Jenkins was a potential candidate for the tag, with kicker Mason Crosby another possibility. Jenkins has seven accrued seasons, but Crosby, safety Atari Bigby, guard Daryn Colledge, and wide receiver James Jones are some Packers with less than six accrued seasons that may have restricted free agent tenders applied to them this off-season. Released last week by the New Orleans Saints on Tuesday, the former All-American from the University of Miami would give the Dolphins a tight end who, when healthy, is capable of stretching the middle of the field. A 2002 first-round pick (14th overall) by the New York Giants, Shockey has 510 receptions for 5,688 yards and 33 touchdowns during his nine-year career. 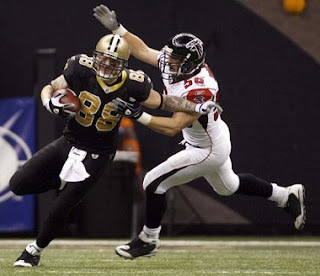 Shockey, who turns 31 in August, has spent the last three seasons with the Saints, helping them a win in Super Bowl XLIV. Shockey was injured and did not play in the Giants' 17-14 win over the New England Patriots in Super Bowl XLII. New York traded Shockey the following off-season. The Seattle Seahawks announced that they have re-signed running back Chris Henry for the 2011 season. The 5-11, 230-pound Henry has 32 carries for 122 yards and 2 touchdowns in his career, which began as a second-round pick (50th) out of Arizona by the Tennessee Titans in 2007. Henry joined the Houston Texans last season and signed with the Seahawks' practice squad in September, reuniting with Seahawks running backs coach Sherman Smith, his first position coach in the NFL. Henry finished the 2010 season on the Seahawks' "Practice Squad/Injured Reserve" list. 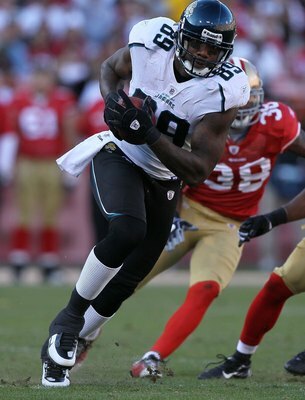 The Jacksonville Jaguars officially placed the franchise tag on Pro Bowl tight end Marcedes Lewis. According to projections done by Mac's Football Blog, the franchise tender for a tight end in 2011 will be worth $7.285 million for the 2011 season. Lewis earned $902,500 in base salary in 2010, the final year of his five-year, $10.53 million rookie contract that included $5.1 million in guarantees. A first-round pick out of UCLA in 2006, Lewis has caught 181 passes for 2,224 yards and 17 touchdowns in his 78-game career. Lewis established career-highs in 2010 with 58 receptions, 700 yards receiving yards and 10 touchdowns. The Jacksonville Jaguars have signed defensive end Paul Spicer, Adam Caplan of FOXSports.com reports. Spicer, 35, entered the NFL with the Seattle Seahawks, who signed him as an undrafted free agent out of Saginaw Valley State in 1998. In 117 career games with the Detroit Lions and Jaguars, the 6-4, 295-pound Spicer has 252 tackles. 28.5 quarterback sacks, and an interception. Spicer last appeared in the NFL with the New Orleans Saints during the 2009 preseason. Upon signing his one-day contract, Spicer will announce his retirement from professional football. 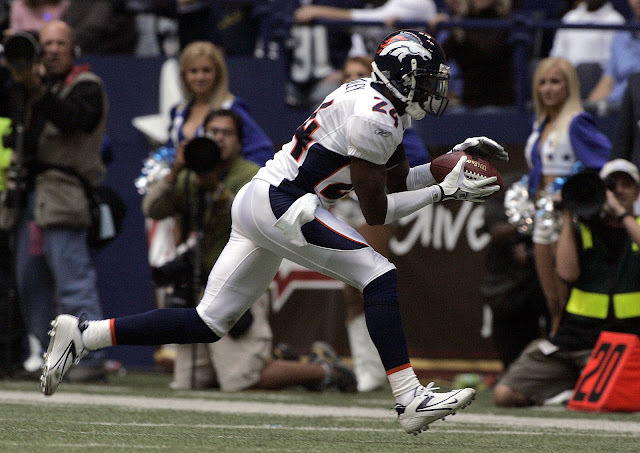 Champ Bailey fantasized about being wined and dined as the prize of the 2011 free agent class. He dreamed about jetting across the country to be wooed and wowed. In the end, though, the perennial Pro Bowl cornerback excused the Broncos for pulling a four-year contract offer off the table back in October and decided to stay in Denver even though he might have made more money on the open market. “One thing I’ve learned, the grass ain’t always greener,” Bailey said Tuesday after signing a four-year deal with Denver worth more than $40 million. “I could go to an organization that looks like they’re ready and then they’re not ready and then I’m miserable because I’m around a lot of unfamiliar faces and in an unfamiliar place. One reason he didn’t test free agency, he said, was the league’s labor uncertainty. The sides are meeting in Washington, D.C., under federal mediation in a bid to find common ground before the current labor deal expires at the end of the day March 3. The union has said it believes team owners want to lock out the players as soon as the next day, which could threaten the 2011 season. “There is no certainty once March 4 rolls around,” Bailey said. “That played a role in my decision, to make sure something got done. I don’t know what’s going to happen after March 3, because of the CBA and all of that stuff. You don’t know how teams are going to react to free agents and what’s going to be out there. I just figured if I can, get it done. Bailey remains one of the league’s premiere shutdown cornerbacks even at age 32. He just played in his 10th Pro Bowl, a record for cornerbacks, but the one big void in his career is a trip to the Super Bowl. Bailey, who has only been to the playoffs three times in his 12 NFL seasons, said he thinks the Broncos are in capable hands under new coach John Fox, who has deep defensive roots, and can quickly halt a five-year playoff drought. Bailey and pass-rusher Elvis Dumervil, who missed last season with a torn chest muscle a year after leading the NFL with 17 sacks in 2009, are now the cornerstones of Denver’s massive defensive makeover. Even though most teams only throw his way a couple times a game, Bailey’s 48 career interceptions rank first among cornerbacks since he entered the league as the seventh overall pick by the Washington Redskins in 2009 and his 183 pass breakups are tops among players during the past 12 years. Bailey said he appreciated Elway’s involvement in re-signing him and also the Broncos’ willingness to extend an offer to him just four months shy of his 33rd birthday. It had started to look as if the Broncos would lose Bailey this offseason. Even when they reopened talks with his representatives earlier this month, Bailey decided to try to sell his Littleton home that he bought for $1.6 million a few years ago. Bailey would still like to sell his house. Maybe he’s intent on downsizing because when he was asked if he’d be interested in upgrading to the mansion of NBA star Carmelo Anthony, who was traded from the Denver Nuggets to the New York Knicks in a blockbuster trade Tuesday, he said no way. Bailey’s deal was welcome news in a city that was hit hard by the departures of Anthony and homegrown star Chauncey Billups, which followed the recent retirement of hockey great Peter Forsberg after a short-lived comeback attempt with the Colorado Avalanche. Bailey said deep down he never wanted to leave Denver. A person with knowledge of the procedure says Houston Texans Pro Bowl running back Arian Foster, the NFL’s leading rusher in 2010, has undergone arthroscopic surgery on his right knee. The person, who spoke on condition of anonymity because neither Foster nor the team has publicly disclosed the details, called Wednesday’s procedure “minor” and said Foster was already walking again. The 24-year-old Foster rushed for 1,616 yards in his first full season starting for the Texans. The undrafted free agent who signed with the Texans in May 2009 also led the league in yards from scrimmage (2,220), rushing touchdowns (16) and first downs gained (123), all single-season franchise records. The Texans had no comment on Foster’s surgery, which was first reported by KRIV-TV and the Houston Chronicle. Earlier on Tuesday, it was confirmed that the Oakland Raiders had "bought back" the sixth and final season of linebacker Kamerion Wimbley's rookie contract for around $3.5 million. Citing NFL management sources, Adam Caplan of FOXSports.com reports the contract may violate the NFL's 30% rule, which could make the former first-round pick of the Cleveland Browns an unrestricted free agent this off-season. According to a league source, Wimbley's buyback, which could have been as high as $7.765 million, comes via a roster bonus, which falls under the definition of "salary" in regards to the 30% rule. The Raiders acquired Wimbley (6-4, 255) from the Browns for a 2010 third-round pick last March, which Cleveland used on quarterback Colt McCoy. 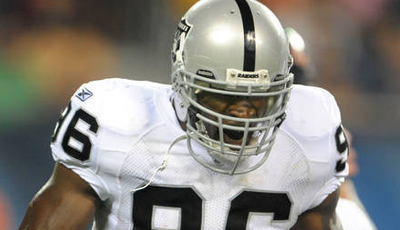 A 16-game starter, Wimbley totaled 58 tackles and a team-high 9 quarterback sacks for the Raiders last season. The Cincinnati Bengals are unlikely to use their franchise tag in 2011, Joe Reedy of the Cincinnati Enquirer reports. Cornerback Jonathan Joseph and running back Cedric Benson are the team's top candidates to be designated with a one-year franchise tender by Wednesday's 4pm ET deadline. A first-round pick (24th overall) out of South Carolina in 2006, Joseph earned $1.625 million in 2010, the final year of his rookie contract. Because Joseph's base salary increased by more than 30%, the two sides were unable to do a long-term extension during the 2010 league year, which ends along with the collective bargaining agreement on March 3. In his 67-game NFL career, which has included 58 starts, Joseph has 272 tackles, 14 interceptions, and 76 passes defensed. Benson, a former first round pick by the Chicago Bears, recently completed the second season of a two-year contract extension that paid the former University of Texas standout $2.65 million in base salary last season. During his three seasons with the Bengals, Benson has run for 3,109 yards and 15 touchdowns, adding 65 receptions for 474 yards and a touchdown as a receiver out of the backfield. 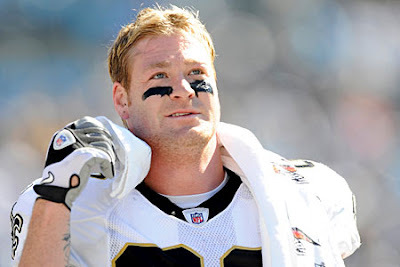 The New Orleans Saints have terminated the contract of veteran tight end Jeremy Shockey, Jay Glazer of FOXSports.com reports. Shockey had one season remaining on his current contract, which was set to pay the four-time Pro Bowler $4.78 million in total compensation this season. A 2002 first-round pick (14th overall) out of the University of Oklahoma by the New York Giants, Shockey has 510 receptions for 5,688 yards and 33 touchdowns during his nine-year career. Acquired by the Saints in 2008, Shockey has 139 receptions for 1,460 yards and 6 touchdowns in 38 games in New Orleans. With David Thomas and the rapid development of 2010 third-round pick Jimmy Graham, Shockey and his high salary became expendable. ESPN's Adam Schefter reports the Cleveland Browns have used their franchise tag on veteran kicker Phil Dawson. Dawson, 36, spent the 2010 off-season unhappy with a contract that paid him $1 million in base salary. In 16 games, Dawson connected on 82.1% of his 28 field goal attempts, was 28-for-28 on extra points and had 7 touchbacks. Originally signed by the Oakland Raiders as an undrafted free agent out of the University of Texas in 1998, Dawson spent a season on the New England Patriots practice squad before signing with the Browns in 1999. In 183 games, Dawson is 252-of-303 (83.2%) on field goal attempts and ranks 3rd on the franchise's all-time leading scorer list, behind Don Cockroft and Hall of Famer Lou Groza. The franchise tag for kickers is projected to be worth $3.26 million in 2011. 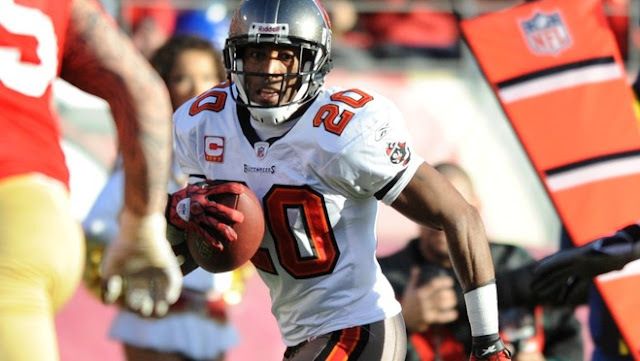 Cornerback Ronde Barber has signed a one-year deal to remain with the Tampa Bay Buccaneers, Jay Glazer of FOXSports.com reports. Last month, Buccaneers head coach Raheem Morris indicated that Barber would be back for a 15th season. "He's coming back," Morris told the St. Petersburg Times. "It's just a matter of deciding how much he's worth and all that. But our starting right cornerback will be back. He'll be our starting right corner as long as he keeps playing at a high level." Barber earned $3 million in base salary last season. In 16 games, Barber totaled 82 tackles, one quarterback sack, and three interceptions. Barber has been with the Buccaneers since they chose him with the 66th overall pick in the 1997 NFL Draft. The 35-year old has appeared in 208 consecutive games for the Buccaneers, starting 183 straight, the second-longest active starting streak in the NFL. 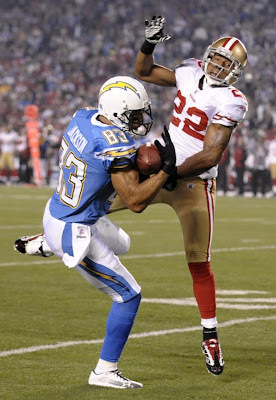 A five-time Pro Bowler and member of the NFL's All-Decade team for the 2000s, Barber has 40 career interceptions, 7 of which he's returned for touchdowns. Barber has added 26 quarterback sacks, the only player in NFL history with 40 interceptions and 25 quarterback sacks. 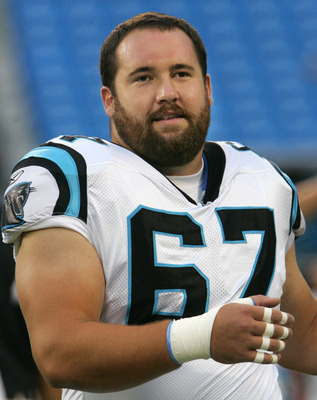 The Carolina Panthers will place the franchise tag on center Ryan Kalil, Darin Gantt of The Charlotte Observer reports. A second-round pick (59th overall) out of USC, Kalil has started 44 straight games for the Panthers, and has gone to the Pro Bowl after each of the last two seasons. The cost of using the franchise tag on an offensive lineman is projected to be $10.51 million in 2011, which is about $2.5 million less than it would have cost the Panthers to franchise defensive end Charles Johnson. 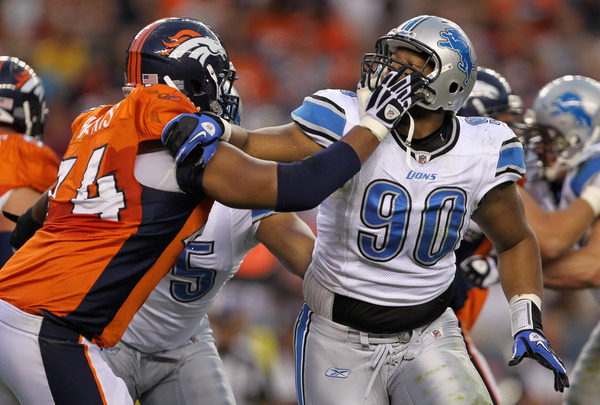 Johnson, 24, posted 11.5 quarterback sacks in 2010, after posting 10 over his first three seasons in the NFL. 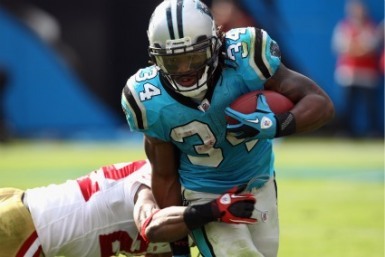 The Carolina Panthers will not use their franchise tag on running back DeAngelo Williams, ESPN's Adam Schefter reports. Either two-time Pro Bowl center Ryan Kalil or emerging pass-rushing defensive end Charles Johnson will receive the franchise tag. To franchise Kalil would run the Panthers around $10.51 million, while Johnson's tender is projected to be worth slightly over $13 million for one season. NFL teams have until 4pm ET on Wednesday to designate players with the franchise tag. The Green Bay Packers would seem like an odd landing point for free agent Nnamdi Asomugha, as cornerback is not a position of need for the defending champions. But Charles Woodson likes the idea of having Asomugha as a teammate so much that he told ESPNMilwaukee.com he’d move to safety to make it happen. Woodson and Asomugha were teammates in Oakland and remain friends, but Woodson said it’s not his place to encourage Asomugha to come to Green Bay. Woodson also discussed the broken collarbone he suffered in the Super Bowl, saying he expects it to heal without surgery in 6-8 weeks. And he said he believes that he’d be a Pro Football Hall of Famer if he retires today. 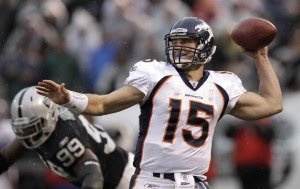 Broncos quarterback Tim Tebow entered the NFL as the most celebrated quarterback coming out of college since Peyton Manning, and Tebow’s popularity could make him the NFL’s highest-profile celebrity pitchman since Manning. Except that Tebow says he worries that doing as many commercials as Manning would cause too many distractions. In an interview with the Florida Times-Union, Tebow was asked whether he’d want as much commercial exposure and endorsement income as Manning. And Tebow said that while the income would be nice, he’s not so sure that it would be worth the time it would take away from football. That sounds like Tebow has his priorities in order. Of course, Tebow’s long list of endorsement deals includes Nike, EA Sports, Jockey, FRS Healthy Energy drink and Palm Beach Autographs, not to mention an autobiography due this spring. If he’s concerned about having too many commercial ventures outside football, he may be there already. Placing the franchise tag on linebacker Chad Greenway was the first domino to drop for the Vikings this offseason. Keeping the rest of Minnesota’s key players will be a lot more difficult. Let’s take a look at their free agent priorities. The Big One: Wide receiver Sidney Rice. It’s hard to imagine Rice staying in Minnesota at this point if he hits unrestricted free agency. Greenway was safer and more reliable to keep, but Rice has potential to be a bigger difference maker. He could get a monster contract. The Key Ingredients: Defensive end Ray Edwards, linebacker Ben Leber, defensive tackle Pat Williams, and kicker Ryan Longwell. Edwards led the team in pressures, according to espn1500′s Tom Pelissero. He’s an above average starter that seems likely to get rich elsewhere. Williams also seems to be ready to move on. Leber and Longwell shouldn’t be too expensive to retain. Might be on the way out: Wide receiver Bernard Berrian, safety Madieu Williams, wide receiver Greg Camarillo, wide receiver Greg Lewis and quarterback Tarvaris Jackson. 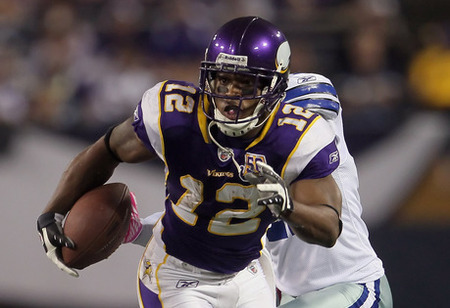 The Vikings will be woefully thin at wideout if Rice leaves. Berrian is overpaid and seems likely to be cut. The same goes for Madieu Williams. Camarillo isn’t worth his salary and Lewis is a free agent. Joe Webb will be given a chance to compete in training camp, but it may just be for the backup job. It sounds like the Vikings will seek out two quarterbacks this offseason: a veteran and a rookie. Tarvaris Jackson won’t be brought back. Running back Adrian Peterson, linebacker E.J. Henderson, and tight end Visanthe Shiancoe all enter the final years of their contracts. Getting Peterson signed long-term may be a bigger priority than all the free agents listed above. The Vikings could easily lose Rice, Edwards, and Pat Williams. That’s a lot of talent. They should cut Berrian and Madieu Williams, but that only leaves more depth chart holes to fill. Throw in an empty quarterback position and it’s pretty clear the Vikings are rebuilding. Sorry, Visanthe. The Minnesota Vikings announced that they have placed the franchise tag on linebacker Chad Greenway. "Chad’s an important part of our team and his play speaks for itself. He’s productive and has continued to improve each year he has been in the NFL," Vikings head coach Leslie Frazier said “He’s a leader for us in the locker room and on the field." A first-round pick (17th overall) in 2006 out of the University of Iowa, Greenway (6-2, 242) missed his rookie season with a knee injury, but has started 63 of 64 games over the last four seasons, totaling 463 tackles, 6.5 quarterback sacks, five interceptions, including one he returned for a touchdown, and seven forced fumbles. Greenway has played at a Pro Bowl-level the last couple of seasons, leading the Vikings in tackles from 2008-10. Greenway posted a career-high 144 tackles in 2010. Greenway earned $3.17 million in 2010, the final season in a five-year, $13.6 million contract that included $7.42 million in guarantees. The one-year franchise tag for linebackers is projected to be worth $10.191 million for the 2011 season. 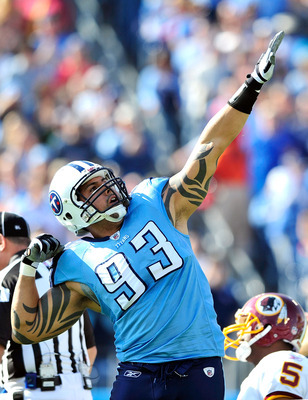 Coming off a breakout season, Tennessee Titans defensive end Jason Babin, who is scheduled to be an unrestricted free agent, is more interested in long-term security than short-term money, John Glennon of The Tennessean reports. "There are a lot of little things like that...Everyone will say, 'How could you (not want) $12 million or whatever it is for a franchised defensive end?' But it's not as simple as that, unfortunately. Nothing in the NFL is simple." Babin was an unrestricted free agent in 2009, but his former team, the Philadelphia Eagles, held a right of first refusal and opted not to match the one-year, $1 million contract offer from the Titans. A 16-game starter for the Titans, his fifth franchise in seven seasons, Babin posted 58 tackles, including a career-high 12.5 quarterback sacks. Due to his production, the 30-year old could have the franchise tag placed upon him, which if it holds up under an expected challenge from the union, would pay Babin slightly over $13 million in 2011. On the open market, Babin could expect a multi-year contract with a $6-7 million per year average, but with more long-term security and an opportunity to finally lay down some NFL roots. Free agent safety O.J. Atogwe will visit the Washington Redskins on Monday, Howard Balzer of 101 ESPN in St. Louis reports. Atogwe was released by the St. Louis Rams on Friday, three days before an $8 million roster bonus came due. 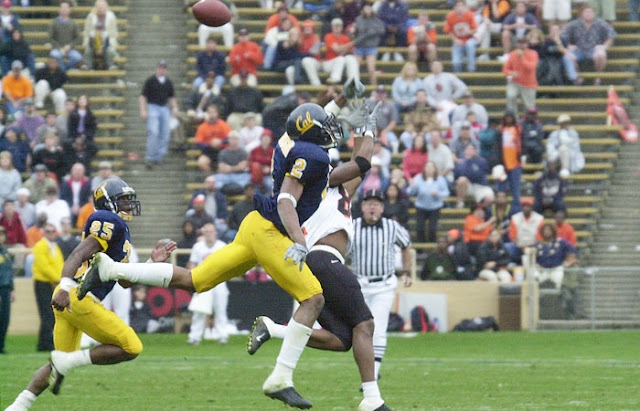 A third-round pick out of Stanford by the Rams in 2005, Atogwe has started 75 of 88 games in his six-year NFL career, totaling 390 tackles, 5 quarterback sacks, and 22 interceptions. 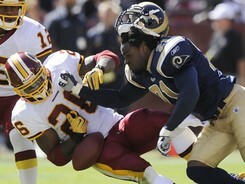 The 29-year old free safety played for Redskins defensive coordinator Jim Haslett in St. Louis from 2006-08. Chris Horton, Kareem Moore, and Kevin Barnes started at free safety for the Redskins in 2010, with Horton and Moore finishing the season on injured reserve. • Other than CB Champ Bailey, the Broncos' next-biggest free-agent decision will be on ORT Ryan Harris. The former All-Pro tackle struggled at times last season but came on strong late in the season after fully recovering from a left ankle injury he suffered in Denver's final preseason game. We hear that Harris was nearly sent to Chicago at the trade deadline last season before the deal fell apart at the last second. Harris improved in the second half of the season, leaving the Broncos with a tough decision to make. • Raiders head coach Hue Jackson said recently that "there's no question" Jason Campbell is the team's starting quarterback. It was a signal to QB Bruce Gradkowski, who started four games for Oakland last season, that if he wants a chance to earn a starting job, he'll have to look elsewhere when his contract expires this offseason. Gradkowski apparently has not ruled out staying put, however. Gradkowski told PFW earlier this week that he knows he's an NFL starter, but he still would like to stay in Oakland. "I'd love to stay out here," Gradkowski said. "I think the Raiders want me back, as well. Hopefully it makes sense for everyone and it works out. Whatever my part is, I just want to be a Raider and help this team win and go from there." • We hear that the Chargers' decision to elevate secondary coach Steve Wilks to assistant head coach was a sign of good faith. Although he lost out to Greg Manusky in the running for defensive coordinator, the team still wanted to reward Wilks for his excellent work with the defensive backs. The Bolts ranked 31st in pass defense when Wilks arrived in 2009, but in '10 they finished with the league's No. 1 pass "D." Wilks replaces Rob Chudzinski, who left to join the Panthers' staff, as assistant head coach. • Last year when he was taken in the second round, the Jets envisioned Vladimir Ducasse as a left guard. However, with Matt Slauson being so productive at that position last season, the team has moved Ducasse to right tackle for 2011. With Damien Woody still recovering from knee and Achilles injuries, Ducasse has a chance to win the starting job with an impressive training camp. • The Patriots made a slew of coaching changes last week, and nothing was too surprising, but one notable assistant got a promotion. Bill O'Brien, who had been calling plays for two seasons as the team's QB coach, is now the offensive coordinator. While the play on the field shouldn't change, having the title itself could help the team in an organizational way. O'Brien is well-liked and has been very successful with the Patriots. Head coach Bill Belichick will continue to serve as the de facto defensive coordinator, and there won't be many complaints about that, considering Belichick is one of the best defensive minds in the game and guided one of the league's younger defenses to lead the NFL in turnover margin. • The hiring of Pat Shurmur as head coach clearly signaled the Browns were starting over on offense. The release of four key defensive players just days after the Super Bowl, most notably NT Shaun Rogers, was a reminder that changes were coming on defense, too. While not a starter a season ago, Rogers was undoubtedly one of the Browns' more talented defensive players, someone who would fit well in a 4-3 scheme, which Cleveland will be implementing as its base defense in 2011. But it's clear the Browns were ready to move on after Rogers had a disappointing 2010 season. 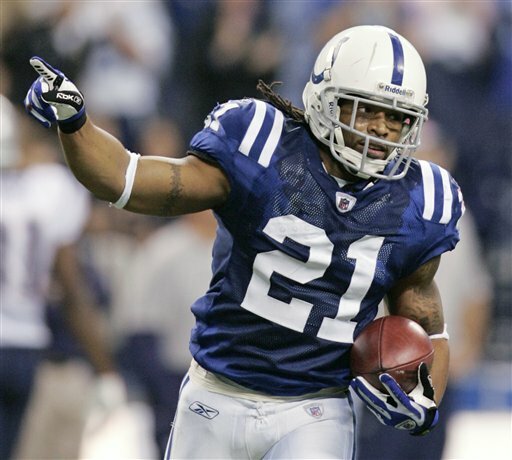 • Jacksonville could be a perfect landing spot for former Colts SS Bob Sanders, the way we hear it. The safety position is one of Jacksonville's more pressing needs, and Sanders, if he can somehow manage to stay on the field, would immediately upgrade the Jacksonville defense. He could also provide a mentor for young S Courtney Greene, whom the club remains high on. The biggest obstacle in bringing Sanders to Jacksonville will be from a financial standpoint. The Jaguars would have to hope Sanders would be willing to accept less guaranteed money in order to perhaps cash in on an incentive-laden deal, but the reports from Indianapolis suggest that is exactly what the Colts tried to offer him before eventually cutting ties with the former Defensive Player of the Year. • Asked for his initial impressions of the Titans' offensive personnel, new offensive coordinator Chris Palmer shared the following in his introductory press conference: "Obviously the running back (Chris Johnson) is special. I think he's a guy that, just sitting and watching film with Mike (new head coach Mike Munchak) and finding out what he likes, does he like a guy in front of him? (Former Jets RB) Curtis Martin didn't like a fullback in front of him; he liked to have him offset. You've got to learn about the players. What's Kenny (Britt)'s best route? I'm anxious to talk to those guys and see what their forte is and how good they are at doing certain things. I was impressed with the tight ends. The (Jared) Cook guy, I want to get my hands around him right away and find out what he's all about, because I think he's a special talent. And the thing that I liked was the offensive line." Of the line, Palmer noted, "There's a chemistry that you can see on film that's intriguing to me." • Titans head coach Mike Munchak said Feb. 18 that the club would soon make a decision on whether to use the franchise tag. The way we hear it, it seems unlikely that the Titans will designate a franchise player. When the Colts did what team president Bill Polian said the team would never do and cut safety Bob Sanders, the best argument against severing ties with the 2007 NFL defensive player of the year came from the possibility that Sanders’ injuries had been the product of one of the worst runs of bad luck in the history of pro sports — and from the possibility that the Colts would have to deal with a healthy Sanders twice per year as a member of the Texans, Titans, or Jaguars. As Chip Scoggins of the Minneapolis Star Tribune explains it, there’s a chance that Sanders will be looking not only to a different division but also to a different conference. Sanders played for the Colts when Vikings coach Leslie Frazier served as a key assistant to Tony Dungy. Frazier now is the first-year coach in Minnesota, and the Vikings could use an upgrade over Madieu Williams, Husain Abdullah, and/or Tyrell Johnson. The obvious dots connect in a manner that brings Sanders to the Twin Cities. The key question is whether Sanders can stay healthy. Another big challenge comes from devising a way to pay Sanders in light of his injury history. In lieu of large signing or roster bonuses, devices like the per-game roster bonus would help protect the team while also compensating Sanders if he can suit up and play. In three years, Sanders has played in only nine games. He suffered a torn biceps tendon in Week One of the 2010 season. The Colts held a spot for him throughout much of the season before placing him on injured reserve. The young core of Tampa Bay Bucs overachieved in 2010, winning a surprising ten games because of Josh Freeman’s development and his knack for late game heroics. It was a hard-working group greater than the sum of its parts. So can they take the next step in 2011? The schedule is going to get tougher and they have some big decisions to make this offseason before they can start printing playoff tickets again. Let’s take a deeper look at their free agent priorities. The Big Ones: Guard Davin Joseph and linebacker Barrett Ruud. It was hard to pick just one of these two cornerstone young starters. They are both good, but not necessarily great young players. Joseph will probably be the bigger priority because he’s shown more signs of being a dominant player. Still, Joseph is coming off a relative down year in which he missed the final five games to injury and the Bucs young line survived without him. He could make a killing on he open market. Ruud has led the team in tackles since 2007, but previously felt unappreciated by the team. The Bucs reportedly don’t want to use the franchise tag on either player. It wouldn’t shock us if Joseph and Ruud got better deals elsewhere. The Key Ingredients: Safety Ronde Barber, linebacker Quincy Black, and running back Carnell Williams. The Bucs should be able to come to an agreement with Barber, who seems ageless. The team would like to bring back Cadillac in a third-down role. Black started 23 games over the last two years. He’ll be a lot cheaper to keep than Ruud. Might be on the way out: Fullback Earnest Graham, tackle Jeremy Trueblood, and defensive lineman Stylez G. White. Graham is due a lot of money for a fullback/reserve runner and could be cut. The Bucs can survive letting Trueblood go, and the team doesn’t figure to re-sign White because of repeated questions about his work ethic. 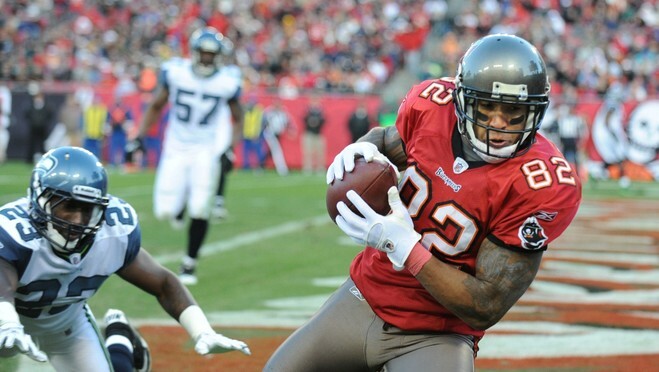 The Bucs don’t have a huge amount free agents, but they do have important ones. They can probably only afford to re-sign Ruud or Joseph and may lose boh. We’d try to bring back Quincy Black so that the linebacker group isn’t depleted. Free agent linebacker Rashad Jeanty has signed with the Philadelphia Eagles, the team announced on Sunday. Financial terms of the one-year deal were not disclosed. The 6-2, 243-pound linebacker began his professional career with the Edmonton Eskimos of the Canadian Football League after going undrafted out of the University of Central Florida. 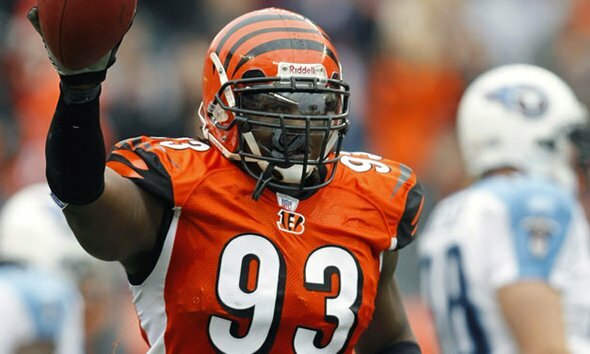 Since the Cincinnati Bengals in 2006, Jeanty started 32 of 53 games between 2006 and 2009, totaling 214 tackles, 5 passes defensed and 5 forced fumbles. 35 of Jeanty's tackles came on special teams. Jeanty fractured his fibula on the opening kickoff of the Bengals' 24-14 Wild Card playoff loss to the New York Jets in the 2009 NFL Playoffs. Denied unrestricted free agency by the uncapped 2010 season, the Bengals tendered him at the "Right of First Refusal" restricted free agent level. Jeanty visited with the Miami Dolphins in March, but was not signed to an offer sheet after Miami's medical staff determined that Jeanty needed surgery to stabilize his left ankle. Jeanty signed his tender, underwent surgery, but failed an August physical with the Bengals and was released. Jeanty worked out for the Dolphins, Jets, and Seattle Seahawks earlier this month. John Shaw's role as a member of the Rams' organization has come to an end. Shaw told PFW correspondent and St. Louis Dispatch writer Jim Thomas on Thursday evening that he does not have an official role with the team as of the Super Bowl. "I've known since the sale (to Stan Kroenke) that it was happening at some point. We all figured the Super Bowl was a good point for it to officially end. And I notified the league." Shaw relinquished his title as Rams team president two years ago but had been their senior adviser/owners' representative. Who’s to blame for the Cincinnati Bengals going 4-12 last season? Terrell Owens says that’s an easy one: The owner and the coaches. But Owens wasn’t done with head coach Marvin Lewis and his staff. Responding to NFL Network analyst Warren Sapp naming Bengals owner Mike Brown, Owens said Brown also deserves a heaping help of blame. According to Owens, the players were good enough that the Bengals should have been a good team. But the players couldn’t do it alone. Of course, there were reports during the season that one of the things that wasn’t right was Owens himself not being a good teammate. And there have been indications that the reason Bengals quarterback Carson Palmer wants out is that he’s sick of having bad teammates, including Owens. But Owens says the blame for Palmer wanting out starts at the top, too. “Obviously if you have your franchise quarterback who is supposed to be that guy for your team trying to get out of there, that’s kind of telling the organization something, and that’s telling a lot of people out there something as well,” Owens said. It also tells us something about Owens that he doesn’t seem to consider the possibility that his arrival in Cincinnati had something to do with the Bengals’ decline from first place to last. 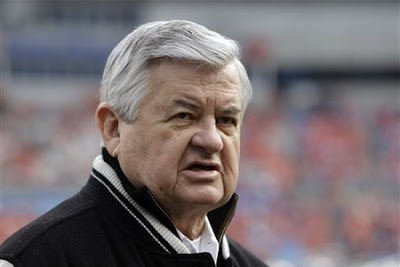 On two separate occasions, Saints quarterback Drew Brees has downplayed reports regarding allegedly condescending remarks made by Panthers owner Jerry Richardson to Brees and Colts quarterback Peyton Manning during a February 4 bargaining session. The first time, we thought Brees was simply taking the high road. In his more recent remarks, it seems like Brees is flat-out disputing the accuracy of the reports. But here’s the thing. It wasn’t just Feely, who explained on PFT Live this week that he was merely passing along information that was shared with the various player representatives in a conference call held at some point after the session. Michael Silver of Yahoo! Sports had a detailed account of the ruckus arising from Richardson’s remarks. In the end, the explanation simply may be that 20 people who witnessed the same incident interpreted it 20 different ways. Either way, Richardson by all accounts isn’t involved in the talks currently occurring under the auspices of mediator George H. Cohen. Which possibly says more than any one person can say about the situation. Authorities in Miami have determined that former Bears safety Dave Duerson died of a self-inflicted gunshot wound to the chest, according to NBC 5 in Chicago. Per the report, Duerson informed loved ones in a text message that he wants his brain to be studied. A friend of the family contacted Chris Nowinski, co-director of the Center for the Study of Traumatic Ecephalopathy, Thursday night. Arrangement were made for the brain to be prepped and sent to Nowinski’s program for research. The tissue will be checked for the presence of Chronic Traumatic Encephalopathy, or CTE. Teams usually say when they franchise a player that they hope it’s the first step towards a long-term extension. One admirable trait of Chargers G.M. A.J. Smith is that he doesn’t bother with the general manager’s equivalent of coachspeak. He’s blunt, and has made it clear a few times his offseason that wide receiver Vincent Jackson has no chance at a long-term deal this year. “Vincent’s a good player and he’s always been a good player, which I’ve said repeatedly,” Smith said. “I’m comfortable with not giving him a long-term deal right now and we are not negotiating a long-term deal. We’ll see how the year goes, but not at the present time,” Smith told Nick Canepa of the San Diego Union-Tribune recently. Smith had said previously in a statement they will evaluate Jackson again for his long-term viability at the end of the 2011 season. While Jackson wants his guaranteed money, he’s going to be paid the average of the top five wide receivers in football this season. That should make it worth his while to show up for Week 1 (assuming there is a Week 1) and try to keep his nose clean. In other words, the Chargers are playing this just right. 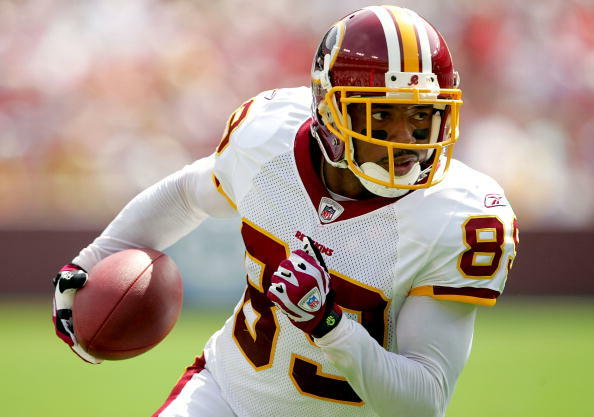 With his contract voided, Santana Moss is free to sign with any team he wants when the new league year starts. Moss made it clear that he doesn’t want to go anywhere. Moss is coming off one of his best seasons and the Redskins are very thin at wide receiver. Washington is certainly willing to pay big money, which is one way the team has treated Moss so well over the years. The wild card here is that Mike Shanahan and Bruce Allen weren’t involved in bringing Moss to the organization. In the end, we suspect Moss will get his wish and stay put. After more than a month of evaluating their defense, the Texans know where they will use their defenders. They have also determined what players will no longer be necessary. John McClain of the Houston Chronicle reports the Texans released five players Friday, including starting free safety Eugene Wilson. The former Patriots player was a serviceable (and cheap) pickup for Houston in 2008, but was eventually exposed in coverage over the years. Houston’s free safety spot is wide open. The Texans also cut wide receiver Andre’ Davis, who had some excellent years as a return man. He made $2.55 million last year despite a hip injury that ended his season before it started. He and Wilson were due to make $8.26 million combined. Houston also cut linebacker Issuah Greenhouse, linebacker Darnell Bing and defensive tackle Demario Pressley. 1. The only surprise here was the timing of the release. Making the move in mid-February indicates the two sides weren’t remotely close on reworking Sanders’ contract, which his representatives knew was coming. So the two sides disagreed quite a bit on Sanders’ value. Perhaps the Colts want Sanders to see what he can get on the open market — it may not be much. Indianapolis may ultimately still have the best offer for him. 2. Cutting Sanders now actually does him a favor because he has the free agent market almost to himself. (He can chill with Shaun Rogers.) Sanders said goodbye Friday with a lot of respect for the team that drafted him. There still should be interest in Sanders elsewhere, if only on a low-risk short-term deal. Leslie Frazier coached Sanders in Indianapolis and could have some interest. Ron Meeks, who coached Sanders a long time, is now in Carolina. (That may not be a great fit though.) ESPN’s Paul Kuharksy suggests the rest of the AFC South should show interest. The Rams released S O.J. Atogwe on Friday instead of paying him a reported $8 million roster bonus, according to PFW correspondent and St. Louis Post-Dispatch reporter Jim Thomas. This season, Atogwe recorded 73 tackles, two sacks and three interceptions. Atogwe has started 75 games during his six seasons, all with St. Louis. Atogwe joins Bob Sanders and Eugene Wilson as safeties who hit the open market on Friday. This is not real surprising. Although he is considered an accomplished playmaker, Atogwe's numbers and performance this past season really didn't justify such a huge payoff. That said, while Craig Dahl shapes up as a pretty serviceable replacement, safety immediately becomes a much more pressing need for the Rams, with the depth at the position already not that great. It will be curious to see how much of a market develops for Atogwe. 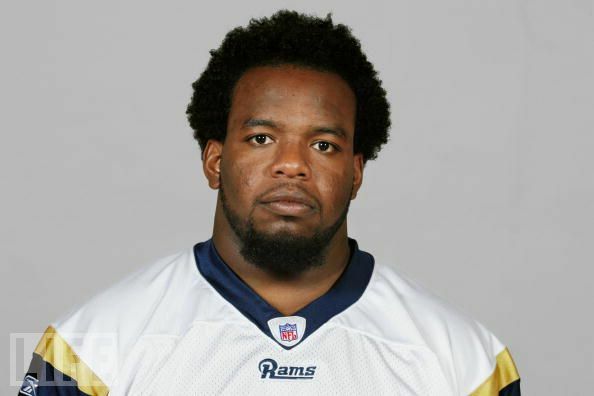 Former St. Louis Rams guard Claude Terrell (teh-REHL’) has been charged with aggravated kidnapping, aggravated sexual assault and burglary charges in connection with an alleged Valentine’s Day attack in Texas. Terrell is being held at the Galveston County Jail on $600,000 bond. Electronic jail records do not list a lawyer for Terrell, who was arrested Monday night in Houston. Police say a woman was attacked over the course of several hours Monday at her home in Texas City. Capt. Brian Goetschius (GOT’-chus) says the woman claims Terrell flashed a gun. 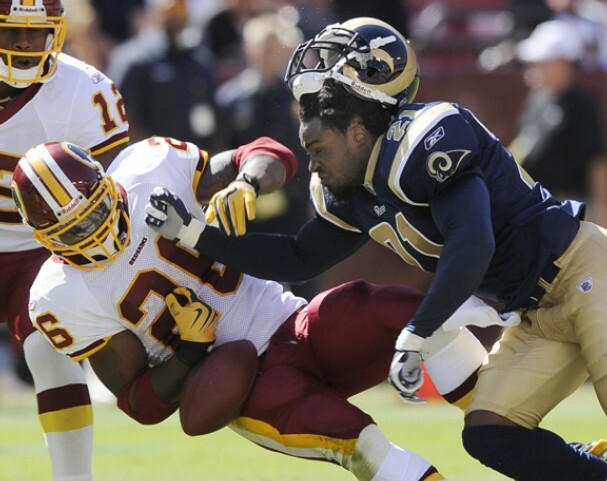 Terrell was cut by the Rams in 2007 after being charged with assaulting his then-wife. Police say Terrell was charged with family violence assault in November. The NFL says the Detroit Lions have violated the league’s policy against tampering and ruled they must forfeit their upcoming seventh-round draft pick and exchange fifth-round picks with the Kansas City Chiefs. NFL Commissioner Roger Goodell issued the ruling Friday for violations last year involving players under contract with the Chiefs. The fifth-round switch leaves the Lions with the 23rd pick in the round instead of the ninth. The league says the Lions commented publicly to the media about their desire to acquire Chiefs players under contract, and that they had impermissible contact with a player—or his agent—under contract with Kansas City. Either team can appeal the decision. 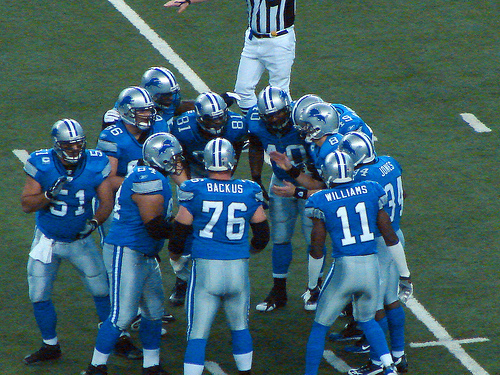 The Lions said they have no comment on the ruling. Bob Sanders couldn’t stay healthy and the Indianapolis Colts couldn’t afford to keep investing in the oft-injured safety. Team owner Jim Irsay released the 2007 NFL defensive player of the year on Friday, announcing the decision less than 24 hours after he told reporters he would make a decision about Sanders’ future before March 3. “We thank Bob for all his incredible contributions, from his Super Bowl interception to his defensive player of the year honor,” Irsay said in a statement. The move was not a major surprise. After winning the league’s top defensive honor, Sanders signed a five-year, $37.5 million contract but played in only nine regular-season games over the next three seasons. With safety Antoine Bethea signing a four-year, $27 million contract last summer; Melvin Bullitt, Sanders’ backup, emerging as a competent starter; and the Colts still trying to sign four-time league MVP Peyton Manning to a new long-term deal, there wasn’t enough room to keep Sanders. Indy gave Manning the exclusive franchise tag Tuesday, a move that would pay Manning about $23 million next season if he plays under the tag. Given those constraints, Indianapolis could no longer afford Sanders—and everyone knew it. Last month, Sanders’ agent, Tom Condon, told the Associated Press he “anticipated the same thing you do” when asked whether the Colts inquired about redoing Sanders’ contract or letting him hit the free-agent market. A message left for Condon on Friday was not immediately returned. When Sanders was healthy, he was one of the league’s top defenders. 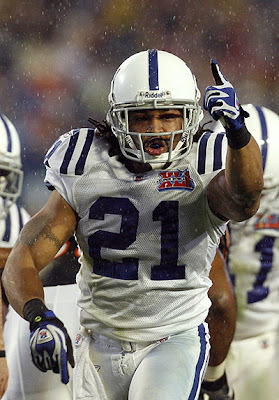 He played in 14 games in 2005, helping the Colts go 13-0 and earning the first of two Pro Bowl selections. A knee injury limited him to only four regular-season games in 2006, but when he returned for the playoffs, the Colts’ run defense improved dramatically and was a key reason Indy won the Super Bowl. Sanders was healthy again in 2007, playing in 15 games, earning another Pro Bowl trip and becoming the first Colts player to win the league’s top defensive award. But even Sanders acknowledged his reckless style would likely shorten his NFL career and some fans even wanted the Colts to keep Sanders on the bench until the playoffs started. There was a reason for all of it. Injuries limited Sanders to only six regular-season games in 2008. He missed the first five games in 2009 following knee surgery, then in his second game back, tore the biceps in his left arm and missed the rest of the season. Sanders didn’t even make it through that many games last year. He tore his right biceps on the first defensive series of the season opener and did not play again. That left Sanders’ future with the Colts in jeopardy. On Friday, Irsay made it official. Sanders had 373 tackles, 3 1/2 sacks, two forced fumbles, three recoveries and six interceptions in seven NFL seasons. As we mentioned the other day, the Raiders essentially made a choice by signing Richard Seymour to a huge two-year deal. They were recognizing they likely couldn’t keep cornerback Nnamdi Asomugha. Michael Lombardi of NFL Network broke down Oakland’s chances of keeping their cornerback on Thursday’s Total Access. SI’s Peter King wrote this week that Asomugha “wants to play elsewhere” and perhaps Oakland knew that when delving into their offseason plans and signing Seymour. The two-week window for applying the franchise tag opened one week ago. And with one week to go, seven players have been slapped with the device aimed at placing stiff restrictions on an otherwise unrestricted free agent. A player restricted by the franchise tag receives the greater of the average of the five highest-paid players at the position in 2010, or 120 percent of the player’s 2009 compensation. His team receives a right to match an offer sheet that the player signs with another team, and the ability to collect two first-round picks if the offer isn’t matched. Under the exclusive version of the tag, the player cannot sign with a new team, and he receives the greatest of the average of the five highest-paid players at his position in 2010, the five highest-paid players at his position at the end of the 2011 restricted free agency signing period, or 120 percent of his 2010 compensation. The seven players receiving the franchise tag to date are: Patriots guard Logan Mankins, Eagles quarterback Mike Vick, Ravens defensive tackle Haloti Ngata, Jets linebacker David Harris, Chargers receiver Vincent Jackson, Colts quarterback Peyton Manning, and Chiefs linebacker Tamba Hali. Manning’s $23 million tender arises from his 2010 compensation multiplied by 1.2. Since it was no more expensive to use the exclusive or the non-exclusive version of the tag on Manning, the Colts went with the version that prevents someone from realizing that two first round-picks would be a no-brainer investment for a crack at Manning. Vick also has received the exclusive version of the tag, which means that his salary will likely increase if/when Manning signs his new contract and pushes his 2011 pay above $23 million. The franchise tender becomes fully guaranteed when accepted by the player. The tag can be rescinded at any time before the player accepts it. If the tag is rescinded, the player becomes an unrestricted free agent.